"The thing that Sam and I talked about was how we are going to top 'Skyfall'. It's going to be 'Spectre' and, so far, it's a great start. 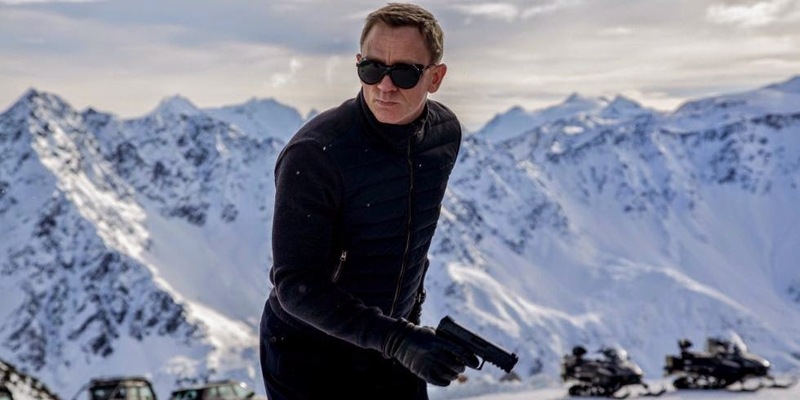 I think that we are going to continue the history of the Bond films, making things that are exciting for the audience to look at and what could be more exciting than to be on top of the world?" El rodaje de Spectre en localizaciones austríacas promete ofrecer poderosas secuencias de acción. Este primer featurette contribuye a incrementar la expectación sobre un film de presupuesto estratosférico. Se habla de una cantidad cercana a los 350 millones de dólares. Sam Mendes dispone de recursos casi ilimitados en esta cinta. Y como bonus track, adjunto un vídeo grabado durante la sesión fotográfica de Vanity Fair en Inglaterra. Entre otras cosas, los intérpretes se posicionan entorno a su Bond favorito (a partir del minuto 1:20). Vemos a Judi Dench, Michelle Dockery, Jude Law, Damian Lewis, Dominic West, Tom Hiddleston, Matthew Goode, Keira Knightley, Felicity Jones, James Corden, Clive Owen, Kenneth Branagh, Jeremy Irons, Jack Huston, Ruth Wilson, Terence Stamp, Natalie Dormer, Sophie Turner, James McAvoy, Jack O'Connell y Orlando Bloom, entre otros. Bueno, desde luego mala pinta parece que no tiene. Es más, esas imágenes recuerdan vagamente a "On Her Majesty's Secret Service".